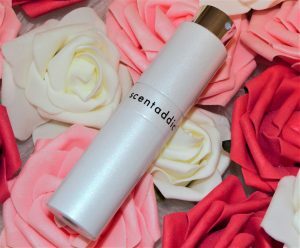 Get ready to fall in love with a host of new fragrances with scentaddict – a monthly subscription service brought to you by The Fragrance Shop. For just £12 per month, we’ll deliver a beautifully presented, travel-sized atomiser filled with your choice of fragrance directly to your door. Allowing you to try a new scent each month, you can choose from a diverse range of over eighty brands, including new launches and classic lines from your favourite fashion houses. Flirt with different scents from our collection each month to find the one you love, but don’t fear if you’re struggling to pick – our team of fragrance experts are on hand to recommend a new launch should you be unable to choose from the stunning selection. As part of your membership, you’ll also receive your subscription fee back should you go on to purchase a full sized bottle of your monthly scent. For the ultimate guarantee, there is no minimum term to sign up and you can cancel at any time.